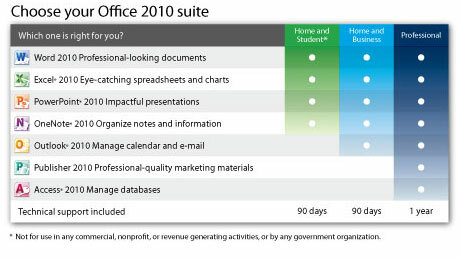 Microsoft Office Home and Business 2010 brings together the roles of managing a business, running a household and helping with homework. Get the benefits of all the programs you need to be productive including Microsoft Outlook 2010–so you can tackle your busy day efficiently with powerful email, scheduling and social networking tools to keep your life and work in sync. This version of Microsoft Office 2010 Home and Business includes the software on disc, with a product key. 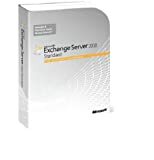 It is licensed for one user to install on two PCs–a primary machine and a portable PC. For customers buying a PC who need Office Home and Business 2010 for their new PC only, and don’t need to upgrade other home PCs, a Product Key Card provides another way to purchase Office with a PC. Now you can easily post your Office documents online and access, share and edit them with Office Web Apps. 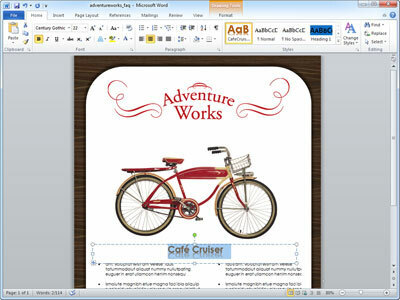 It’s an ideal way to extend your Office 2010 experience to the Web. Brainstorm ideas, share notes and work on documents with others simultaneously thanks to the new co-authoring tool in Word, PowerPoint and OneNote. Replaces the traditional File menu to give you one go-to spot to conveniently save, open and print documents. Customize the tab commands to fit your individual needs so you can navigate tasks effortlessly. Microsoft Office 2010 is an industry standard offering our latest, innovative tools to make your documents richer and more informative. 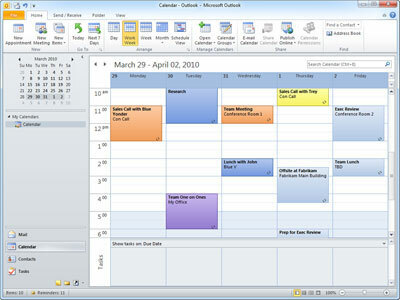 Sync multiple email accounts from services such as (Hotmail, Gmail) or just about any other provider to Outlook 2010. Condense, categorise and even ignore lengthy email exchanges with a single click using Conversation View. Save time with Quick Steps and customize the tasks you use the most down to a single click. Share your calendar with others and access theirs, plus save frequently used groups of calendars with the new Schedule view. Gain attention with your emails by using new graphic and picture-editing tools. Add impact to your document with new picture-editing tools. Better illustrate your ideas with diagrams by turning bullet-point lists into compelling SmartArt graphics. Apply new formatting effects to your text such as shadow, bevel, glow and reflection. Capture and insert screenshots directly into your document. Communicate with ease in many languages with improved translation tools. Highlight data trends by creating data charts in a single cell with new Sparklines. Find the right data quickly with new filter enhancement in PivotTable views. 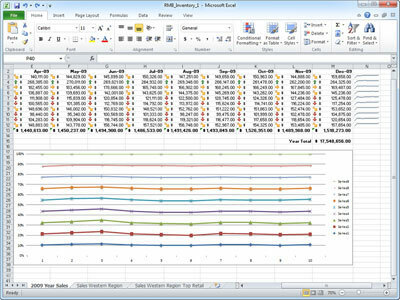 Analyze data quickly. Highlight specific data with new and improved Conditional Formatting options. Display data in a dynamic and interactive way with PivotChart views. Spend less time sifting through data–use the new search filter to narrow down pertinent data to display. Embed and edit video files directly in your presentation. Set videos to fade in and out and apply a variety of video styles and formats. Broadcast your presentation online with new Broadcast Slide Show. Use slide sections to navigate, organise and print your presentation. Use quick filing to organize notebooks, ideal when you’re working on multiple projects. Apply styles and formatting to selected text to another paragraph with the new Format Painter. See results as you type with improved Search functionality and view a prioritised list of Search results. Easily organise and jump between your notebooks with the improved notebook Navigation Bar. Take notes while working in Word, PowerPoint or in Internet Explorer and automatically link them. Need the very best tools to grow your business? Step up to Microsoft Office 2010 Home and Business and get a comprehensive suite of tools and services to keep you organised, connected and competitive–including Access for complete data management and Publisher to create professional-quality marketing materials.